Dr. Kroposki manages the Distributed Energy Systems Integration Group at the National Renewable Energy Laboratory (NREL). Dr. Kroposki received his BS and MS in Electrical Engineering from Virginia Tech and PhD in Engineering Systems from the Colorado School of Mines. His expertise is in the design and testing of renewable and distributed power systems with a focus on photovoltaic systems and grid integration. He has written more than 70 publications in these areas and is the guest editor for IEEE Power & Energy Magazine special issues on solar energy integration. 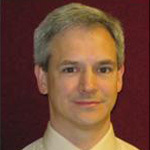 Dr. Kroposki is an Editor for both the IEEE Transactions on Sustainable Energy and IEEE PV Journal. Dr. Kroposki also participates in the development of distributed power and renewable standards and codes. He serves as Chairman for IEEE 1547.4 “Guide for Design, Operation, and Integration of Distributed Resource Island Systems with Electric Power Systems” and served as secretary for IEEE 1547.1 “Standard for Conformance Test Procedures for Equipment Interconnecting Distributed Resources with Electric Power Systems”. Dr. Kroposki is also the US representative for International Energy Agency (IEA) Photovoltaic Power Systems Task 11 on Hybrid Power and Minigrid Systems and Task 14 on High Penetration PV Systems in Electricity Grids. Dr. Kroposki is a registered professional engineer in the state of Colorado.